Within Teamwork Desk you can enable a happiness email that is sent after a customer interaction on a ticket. Happiness emails allow you to receive a rating from your customer on how you handled their issue. It also allows you to receive written feedback if they choose. This can help you to improve the service you provide based on their direct feedback. Note: This can be enabled on an inbox by inbox basis. Enabling on one will not enable on all. To do this click on the your profile icon to the top right of the navigation bar and select Settings. 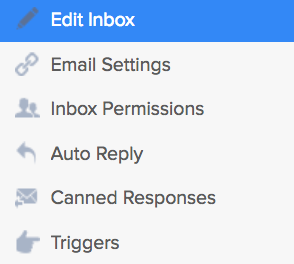 In the settings area, go to the Inboxes tab and select the inbox you want to edit. Once you have chosen an inbox, select the Edit Inbox option in the left pane. To the bottom of the page you will find an option to toggle the Happiness Rating on/off. You will have an option to save at the bottom of the page.